London, Paris and Berlin are working to preserve an pact essential for international security. The JCPO must be maintained, while imposing new "red lines" on the Islamic Republic. But the unpredictability of the US president weighs on efforts. White House decision on the extension of the terms expected today. 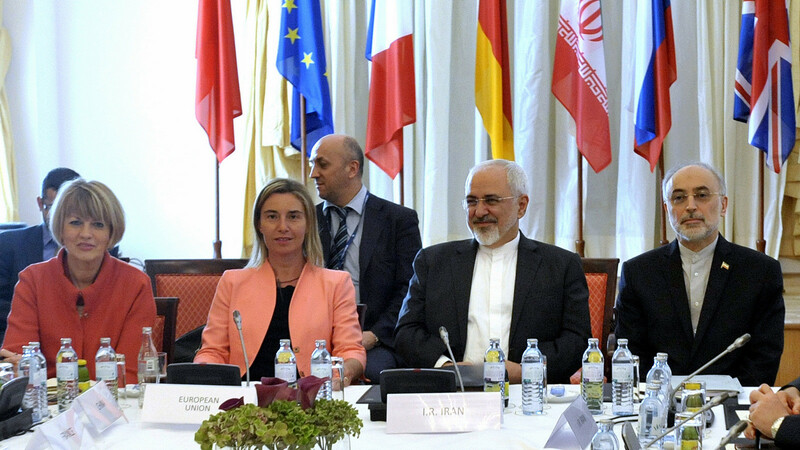 Tehran (AsiaNews / Agencies) - Waiting for Donald Trump's decision on the extension (or otherwise) of the terms of the Iranian nuclear agreement (the JCPO), Europe's leaders have reiterated their desire to preserve an essential pact for peace and international security. At the end of yesterday's meeting with Tehran's head of diplomacy Mohammad Javad Zarif, European leaders sent a clear message to Washington: the agreement must be "preserved", while imposing new "red lines" on the Islamic Republic. Analysts and experts then speak of a "third way" attempted by Europe to defend the JCPO, signed in 2015 between the 5 + 1 and the Islamic Republic, in the face of criticism of the US president who repeatedly threatened to cancel "the worst agreement ever ". It would save the agreement by avoiding an open confrontation with Iran, while imposing limits on Tehran's "destabilizing" activities in the Middle East. From the main European chancelleries - London, Paris and Berlin - the intention is therefore to find (and defend) a common position on the Iranian dossier, unlike what happened in 2003 with Iran. At the time the divisions between the English (supporters of the US invasion) and the Franco-German axis had favored the escalation of military operations. Today Europe seems to have rediscovered the path of diplomacy and dialogue in the region, aligning itself behind a common position with the aim of averting a new war in the face of the bellicose talk of the White House which considers Teheran part of the infamous "axis of evil". A position that does not exempt European leaders from criticizing the politics of the Islamic Republic in the Middle East. However, the pursuit of this "third way" by Europe clashes with the words - and the belligerent policies of the Trump administration towards Iran. A political line that suffers the unpredictability of the American president, which contrasts with the rigidity of leaders of the Islamic Republic and seems unwilling to make concessions on the ballistic missile program. President Trump's official decision on the nuclear agreement is expected today. From the latest information, it appears that the White House leader intends to keep the terms unchanged, while imposing an ultimatum to the European allies and the Congress: improve the agreement or the United States will withdraw. Anonymous US government sources report that Trump is ready to extend the easing of sanctions on Tehran for another 120 days. At the same time wants to impose targeted sanctions on businessmen or personalities involved in the development of the missile program, suspected of terrorist activities or guilty of human rights violations.